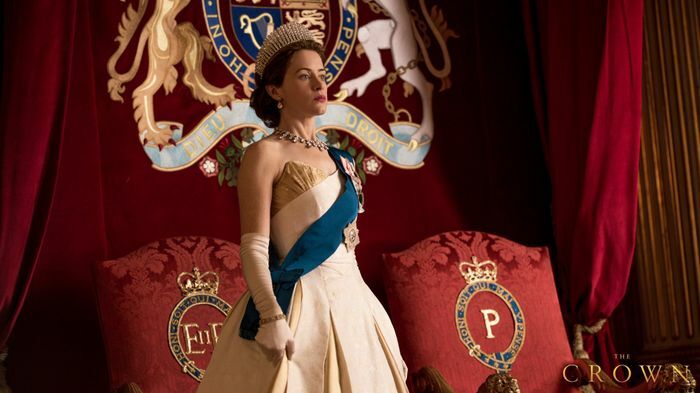 After the climactic end of The Crown's second season earlier this year, we've been waiting (impatiently) for news from Netflix on what to expect for the next season. Though we have to wait until 2019, we're finally getting hints of the drama to come. We now have our first photos of the new cast, including two favorites: Olivia Colman as Queen Elizabeth and Helena Bonham Carter as Princess Margaret. The show's official Twitter account posted the first stills of season three with a set of cryptic captions: "Hope." "Hurt." and "Patience." While it's a little early to know exactly how things will shake out this season, judging by the twisting plot of the first two seasons, no real-life drama will be left unexplored. Add to that the fact that we're entering the sixties, which means there are plenty of cool costumes on the horizon. Read on for your first look! Now look back at the best costumes from season two!